A packed calendar of events across the globe sees brands constantly unveiling new looks for style-conscious consumers to apply to their clothing, hair and make-up. Add to this the rise of the ‘influencer’, be it a celebrity, vlogger or Instagrammer, inspiring trends and colours of the season and the instant demands of today’s digitalised consumer — being reactive as a brand or retailer has never been so important. This is a way to keep a brand identity ‘current’. As trends change, brand identities (particularly those operating in the fast fashion and beauty sectors) can soon look dated. Keeping up with a constantly changing demographic — that alters their rules of engagement with brands almost daily — can create sizable challenges for designers. The process of developing and releasing new campaigns according to seasonal trends is a fundamental business process, but when working within a ‘traditional’ design process (following a fixed set of guidelines not created for a digital world) brand colours and fonts can sometimes jar with the look and feel a brand is trying to achieve. This can result in the finished design (and therefore the brand experience as a whole) feeling disjointed. 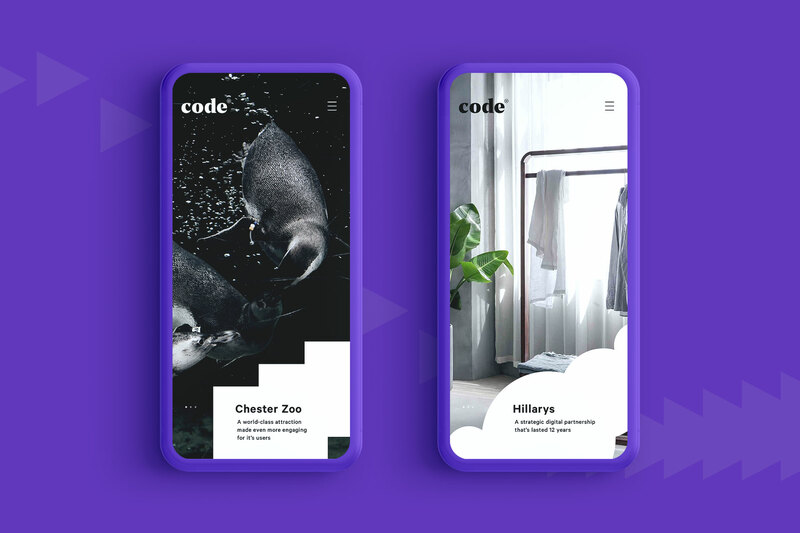 The solution is to create a flexible identity system, and have a set of guidelines where certain elements of the design stay constant — usually the core logo, brand positioning, typography, iconography, — and others are dynamic. Campaign and lifestyle imagery and colour palettes are examples of design elements that can be updated as new trends emerge. When working within the perimeters of a flexible identity system, this can all happen without the need to entirely review the brand guidelines and whilst staying controlled and consistent. Branding for digital agency Code Computerlove illustrate how logo and typeface can present a strong brand identity that doesn’t compete with the different brands the agency works with. It’s a process can actually lead to a more unified brand experience for the end user. But it will only be a success if a strong and characterful brand is defined through the fixed design elements. Establishing a memorable identity that knows what it is and what it stands for (and more importantly the audience also knows and recognises) allows the scope for other elements to flex. For some organisations it may not be appropriate for branding to be too flexible. Banks and hospitals for example need clear, consistent messaging to provide authority and reassurance. Yet even within these sectors there are opportunities to flex according to who uses the services. Children wards for example could be made more welcoming and friendly if a different typeface was used. Similarly, young start-ups might appreciate a different tone of voice within the banking sector. 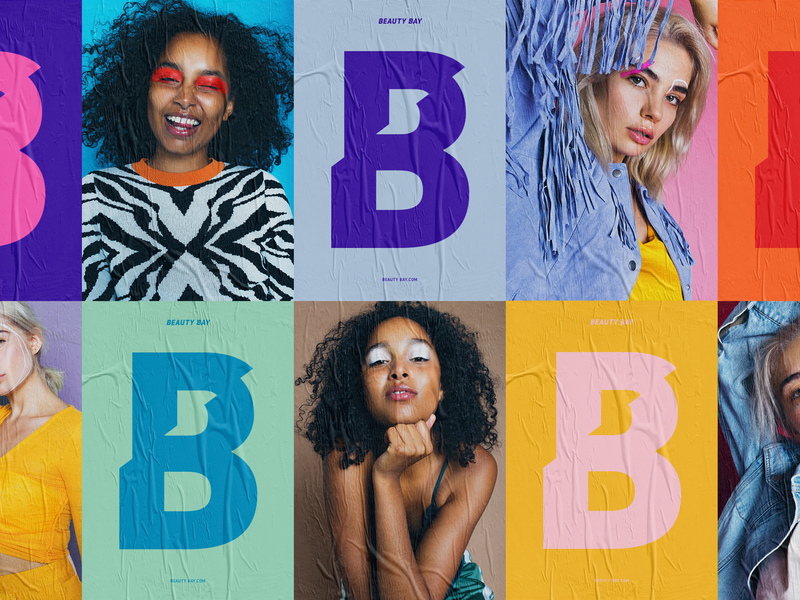 Rebranding Europe’s largest independent online beauty retailer Beauty Bay (a firm favourite with the UK’s 16–25 year olds) is an example of how our creative team implemented a full digital-first re-brand — incorporating a fixed and flexible system that works across every application. There are also seasonal guidelines that Beauty Bay’s teams can apply with confidence. The colour palette, updated quarterly, can be applied in line with the changing seasons — from summer festival season to warm autumn shades. It’s also designed to be adaptive to trend forecasting. Flexibility is key for any brand heavily influenced by trends, the latest products and influencers — where success is determined by a fast response.